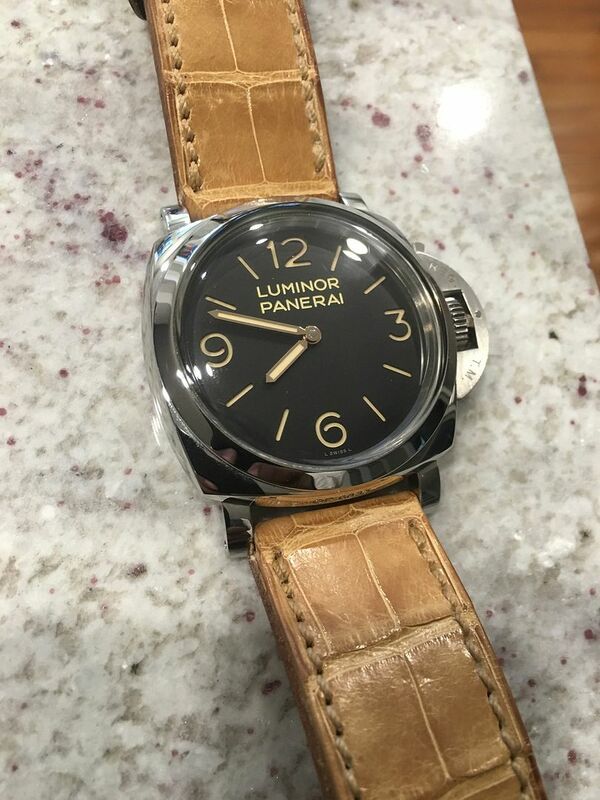 My first Panerai was a 232. Great first pickup right? The watch had always been on my mind since it was first released in 2006 (?) and I knew one day I would add it to my collection. 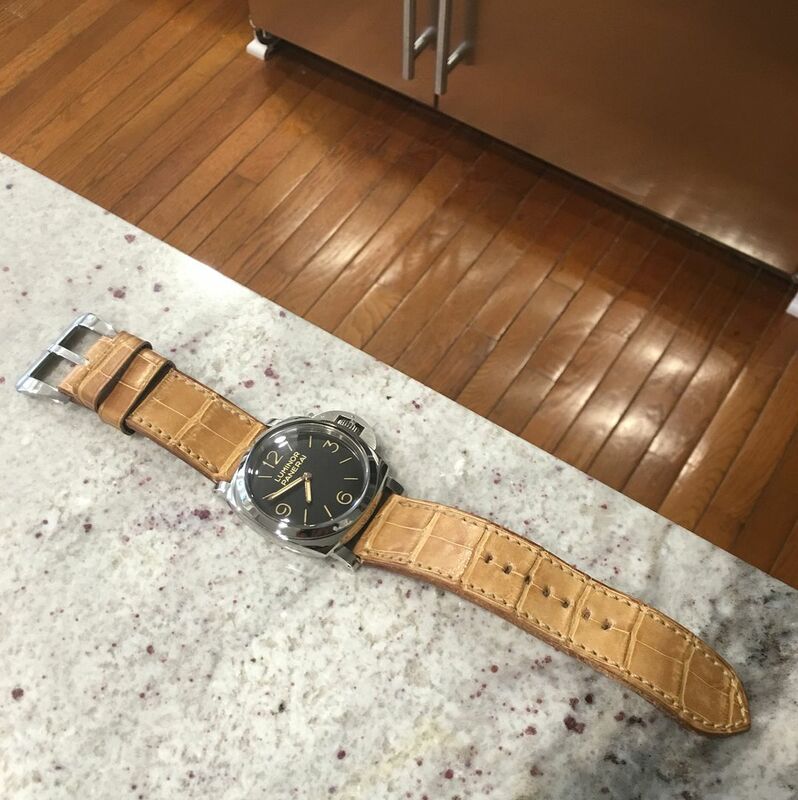 What really won me over was a for-sale posting here on TZ of a mint 232 BUT with the following strap from the well-known Italian strap maker. 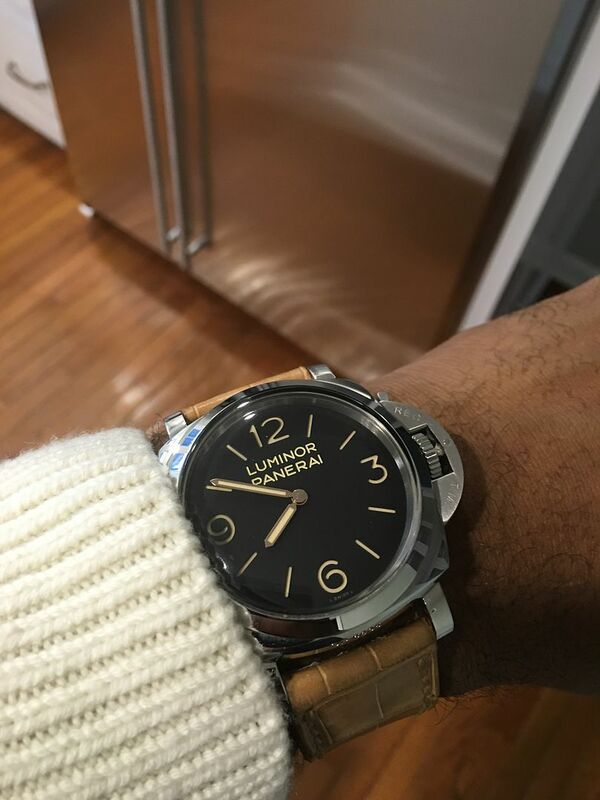 The combination of this strap, the tobacco brown face and gold hands of the 232 was too much to resist. I wore this strap ALL the time with my 232, until I found a new love that is for my beloved 232. So into the strap drawer it went for a few years. That is until today! I was digging in the strap drawer to find something different for my 372 to kick the new year off. 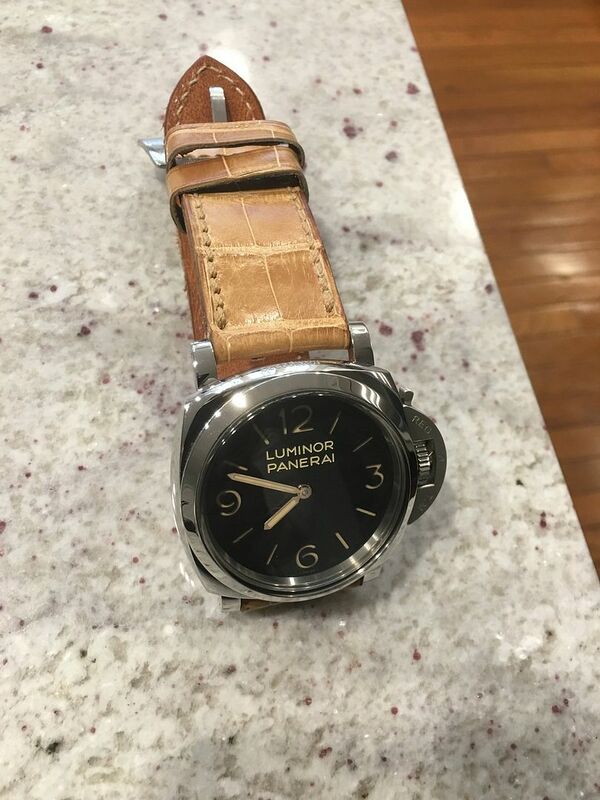 Soooo, many choices like every good Panerai collector who ends up with 10x the number of straps for the number Panerai they own! Strap addition for sure. 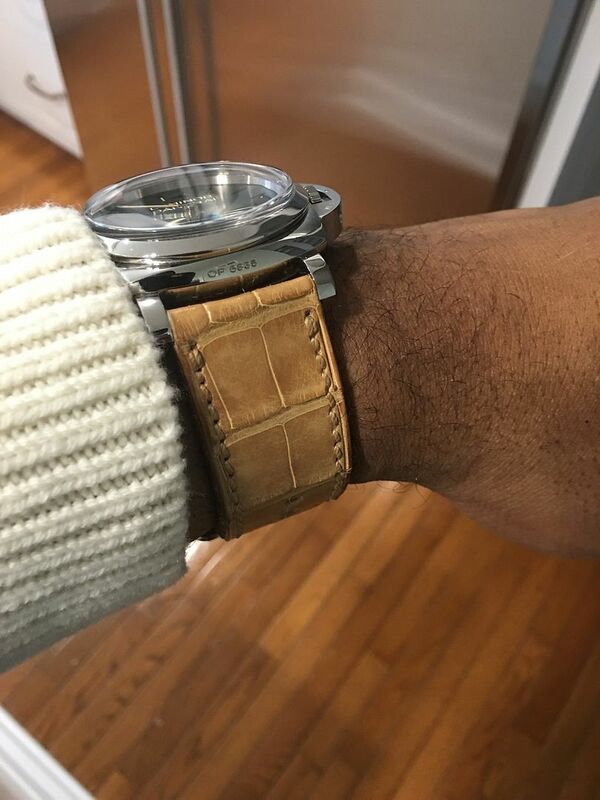 I cant think of the second best combo for my beloved strap than to put on the 372. Here's my old friend with a new look.